Dressed to impress with résumé in hand, a dozen students received invaluable tips about interviewing and got résumé advice from four mentors that have seen many résumés in their professional years. Students learned what recruiters are looking for, how to stand out in a crowd of eager recent graduates, and how to land that dream job. 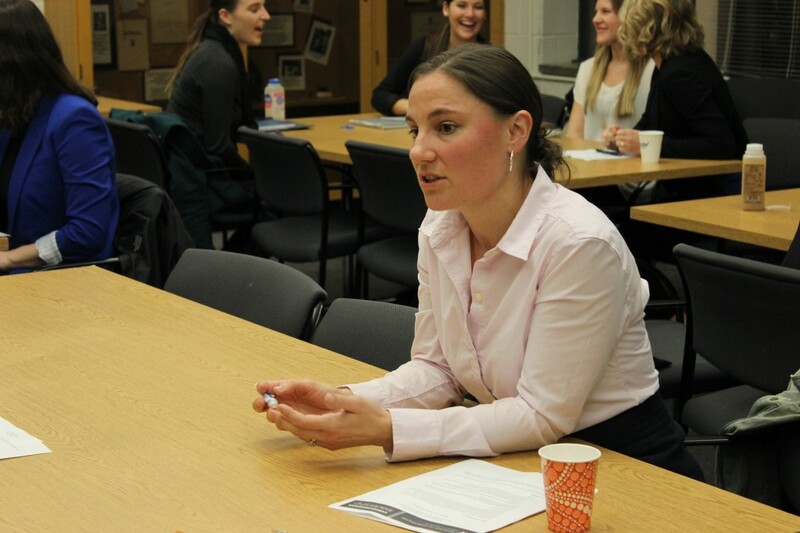 Mentor Jennifer Simmons O’Connor offers advice from her several years of nonprofit experience. Read more about Jennifer’s career after graduating from the UW Department of Communication in 2001. Mentor Edgar Gonzalez said the final thing he looks for in a candidate is simply a good fit with his team. Edgar received the 2012 Outstanding Early Career Award from the Comm Department. Read more about his career. Mentor KC Ficken (Cowen) works for the Bill and Melinda Gates Foundation and gives the advice to build happiness instead of simply seeking it when searching for that dream job. KC Ficken (Cowen) gives back to the Comm Department on a regular basis. Read about how she used a temp agency to land her job. Mentor Sabrina Oldham leads the recruiting efforts for a software start-up company called HasOffers, so she knows a thing or two about interviewing and building a successful résumé. 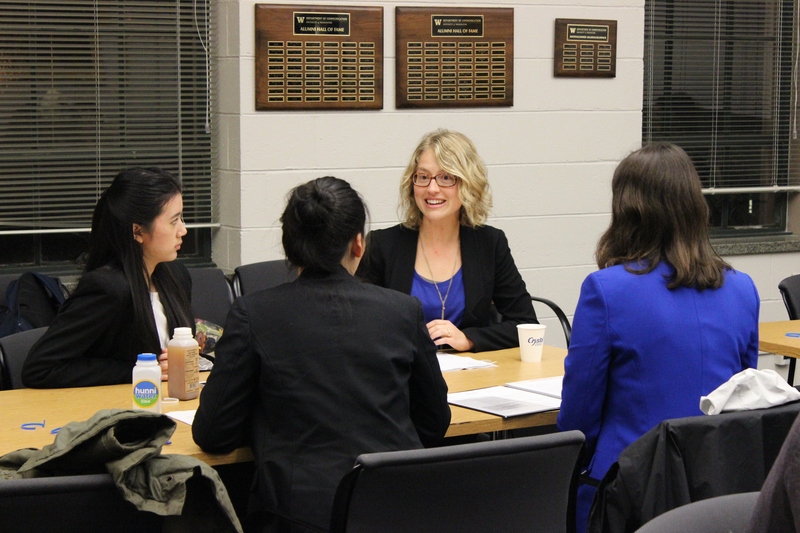 Thank you to all of our mentors and to Hunniwater for sponsoring our Career Kickstart event! 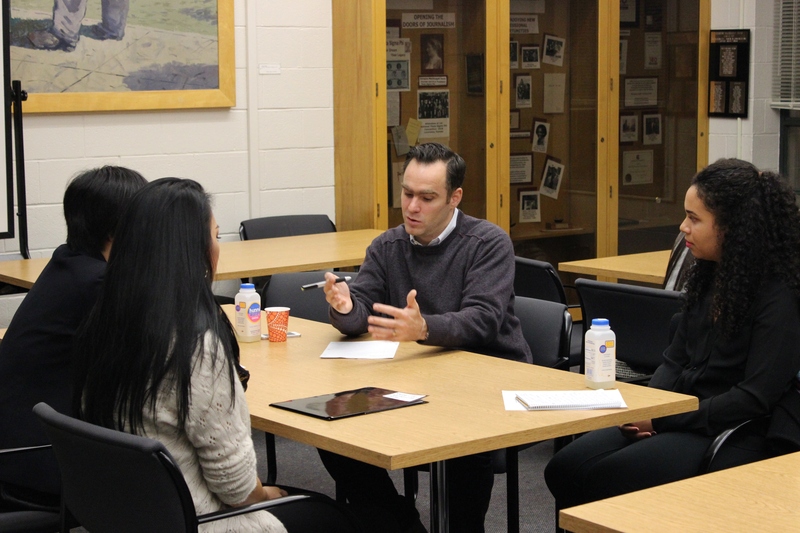 Check out more photos on our Flickr page, and don’t miss the next Resume & Interview Bootcamp on January 23. RSVP here.